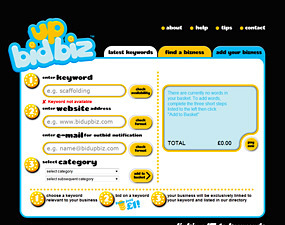 We were asked by Bid Up Biz to develop their brand and website which would allow companies to bid on a keyword, which would link to their website. To make the process intuitive and as easy as possible, we created a database driven website and shopping cart which linked through to Paypal. The Database driven website allows Bid Up Biz to monitor and track the purchased keywords and apart from this the system requires no other human intervention. 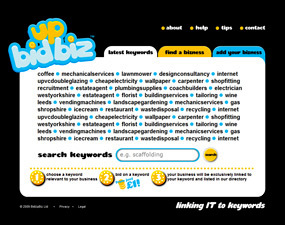 A dynamic and powerful online presence that really makes Bid Up Biz stand out from their competitors.